Our journal is available via the Informit database increasing the exposure of papers published in Advances. 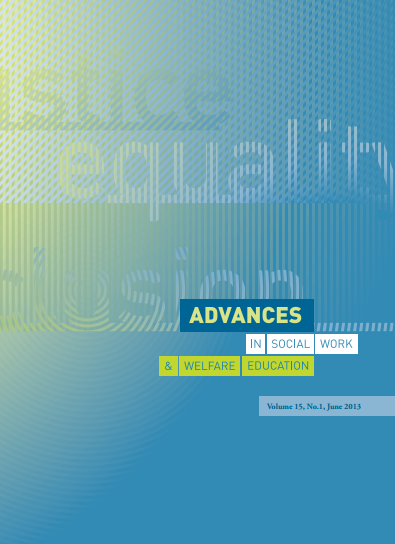 Advances is free online to ANZSWWER members. We encourage submissions from both established and new writers. The journal aims to showcase material which is of relevance to social work, welfare and community development educators in a national and trans-Tasman context and, where applicable, to link this with international concerns. Papers that present innovative or challenging approaches to current educational philosophy and methodology are particularly encouraged. There are three sections in which papers may be published: refereed full papers, “Practice Reflections” or contributions to “New Voices”. Refereed papers should be no longer than 7000 words. “Practice Reflections “ and “New Voices’ should focus on recent events or current topics of interest to the journal audience of social work and welfare, and may provide a different perspective for practitioners, educators and students. “Practice Reflections” and “New Voices” should be no longer than 2000 words. The Advances Editors’ Award is a $250 prize, awarded each issue to an outstanding article that speaks to the aims of the issue in which it was published. For general issues of Advances, the Editors’ Award will be for a scholarly work of a high standard, either a full length article or a practice reflection. In addition, for Special Editions, the Editors’ Award will be given to an article that also addresses the aims of the Special Edition. The Editors’ Award is at the discretion of the Co-Editors of Advances, in discussion with the Guest Editors of the Special Editions. Dr Brenda Clare, University of Western Australia. Associate Professor Christine Morley, University of the Sunshine Coast, Australia.